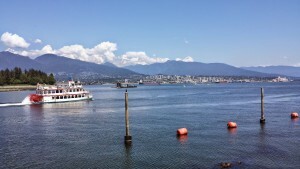 My trip to Vancouver was great, but I wasn’t able to go out sailing. Oh well, maybe next time. I did get a great feel for what types of boats end up in the Pacific NW, and the answer is a ton of monohulls! There looked to be a couple of cats in Coal harbour, but many more power boats and hundreds of monohull sailboats. Absolutely beautiful country and after seeing the potential for yet another great place to go, this just reinforces my feeling that we are doing the right thing by making this plan move forward. We also found a sailing school in Corpus Christi, but it will be many months before we will be able to attend. This isn’t something I want to take without Regina there to learn with me. If there is one thing I’m sure of, we have to do this as a team or it won’t happen at all. Regina’s pregnancy is going well and we’re both starting to get excited about meeting our new little boy. I can’t wait to take him on the adventure of a lifetime with us. Our older boy expressed interest in going today. He is only 13, and by the time we go he will be 18 or 19, so we’ll see if that changes. I hope he does decide to go – even if only for a short while. We also decided that we really want to find a good boat show to go too. We’re going to be in Wilmington N.C. next weekend and I wish I knew somebody there with any boat so we can both get a better feel for the size and type of boat that we want to look for over the next couple of years.